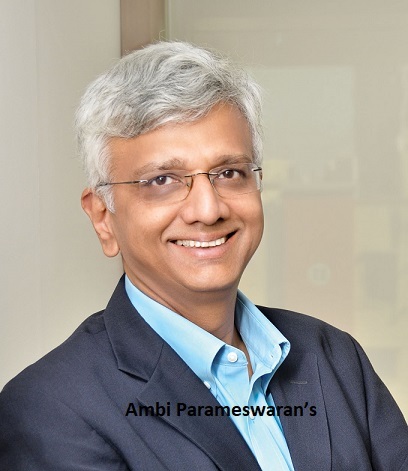 Brand Strategist and author, Ambi Parameswaran, will be launching his latest book –SPONGE: Leadership Lessons I Learnt From My Clients at MMA Management Centre, Chennai on Wednesday, 01st August at 6:00 PM. SPONGE is an attempt to present the interesting conversations Ambi has had with the doyens of the corporate world, in an easy to read anecdotal form. The book is an intriguing read for corporate executives, management students and people interested in the world of business and marketing. With Ambi, Mahalingam & Ramesh, it will surely be an evening to savour! Appropriately, sponge cake will be served with tea. Seating on first come, first served basis, so do come early.